best way to arrange and use the troops to win is the main purpose of good coaching. Kids love to play and create. They will spend hours setting up their toys and constructing imaginary scenarios. The natural tendency to be diverse, creative and adventurous is often stifled by the coach who sees the game from a rigid, organizational, win-oriented perspective. The inexperienced young player wants to learn and grow. She needs to be encouraged to experiment. She desires the ball and wants to be taught to do amazing creative things with it. The last thing she wants to do is share it with a teammate. lots of contact with the ball in a creative, free-spirited manner. However, most coaches ask their players to play a position. They first try to give their team structure. Young kids don't want or need positional structure in their games. It takes away from the things they see as most enjoyable, i.e. ball contact, movement and play. Therefore, it takes away part of their motivation and enjoyment. Control freaks need not apply for coaching jobs. Modern knowledge of soccer tactics and systems has allowed us to manipulate statistical results and control players in restrictive ways to their detriment. This is a fact that becomes clearer each day as creative development dies and our players fail to achieve their potential. Indeed by disconnecting us from creative license traditional win/profit-oriented coaching has led us into actions so inharmonious with developmental reality that, if we stay the course, a character and creative ability catastrophe seems inevitable for our players. Win-oriented coaching methods, far from telling the truth about how we develop talent and character are myths meant to feed our fading fantasy of ego-based coach power and control. If we dare to move beyond our fear of losing to practice coaching as a form of maximizing potential and creative character development we might abandon our illusion of control and enter into a partnership with parents in developing truly brilliant humans with spectacular soccer abilities and character. By optimizing our most purist selves we might teach more clearly the actions that are life-empowering and in the process participate more fully in developing elite soccer players and establishing human destiny than we do in our quest for control, winning and profits. This relational way of coaching, in which elite skills, lightning fast tactical speed and creative character development takes away fear, and optimal self-determination replaces control, is a way of teaching that can help us develop phenomenally capable young men and women, the capacity for elite connectedness and truly great team interaction in soccer and life. If we as coaches succeed in bringing up soccer players who are very quickly able to identify the right thing to do from the widest menu of available tactical options, (some bad, some questionable, some good), we have succeeded by most measures of good coaching. If the ability to make the right choice and execute becomes automatic without need for reflection or contemplation we have truly raised an exceptional player. Unfortunately the traditional methods of coaching team sports to "win" in the statistical sense have built in developmental abuses that train opposite, damaging and extremely undesirable player perspectives. Classic examples of these would be trash talking, minor fouls off the ball, cuts, bench sitting, pigeonholing and time wasting. As a group our coaches should focus more on creative individual skill and its use in the game for much longer than traditionally the case. Children should not be subjected to some of the things we take for granted in team sports. Children should not "sit the bench", be taught to kick the ball out of play, be cut from their club (Streaming is educationally essential where the child is struggling), be pigeonholed into one position etc. The list of child abuses, accepted by otherwise good parents, in our team sports culture is very long and ugly. Nationwide there are coaches that are excellent, somewhat good, average, poor or frankly disgusting in their emphasis. My objective is to educate open-minded mentors to recognize the differences and take their children to developmental heights. I also desire to educate misguided coaches to adopt less damaging methods. To all coaches who utilize damaging methods, I would like to point out (and others from my past coaching life in the soccer community will attest to this), that I used to follow tradition and have probably used every abusive method of coaching that I now abhor, to win games. Yes, I am the reformed child abuser, and I live with the guilt of taking kids hundreds of miles to tournaments and not playing them in my quest to win. I live with the guilt of having encouraged my players to foul to win. I have wrongly kept players in one position for years because I needed their specialist skills in that role to get the short-term win and build my own ego. The list of my own weaknesses and ignorance is long and humbling. I long ago abandoned the selfish way (isn't that interesting for someone who encourages great individual skill?). With the onset of ranking systems for those as young as 8 or 9 and the intense media exposure winners and losers in all strata of society are given, our culture is more cynical and soul destroying than ever before. The culture is moving more towards the short-term team win instead of towards the necessary individual developmental wins that lead to long-term success. Funnily enough the long-term perspective inevitably leads to team wins because of the positive individual development enjoyed at every stage of the process. With regard to my own players, I can directly relate the relative life success of the individuals involved to the amount of time those kids spent with me. For example the players from the two teams I coached longest from 4, 5 and 6 years of age through to college recruitment have enjoyed inordinate levels of soccer achievement, individual leadership and societal success at a very young age. The parents and players attribute much of this creative leadership capability to the way in which they were taught to think originally and explore new ways to look a t soccer and life through the “Training Soccer Legends” approach. I'm equally sure that if these same kids had been taught to play the restricted roles typical of most premier teams their unique creative capabilities wouldn't have been developed to the same degree. Anyone who understands the science of nurture and believes that role models have a positive influence should be able to see the logic in this. Kids are becoming less fit at an earlier age. Kids today (as opposed to when I started the coaching 34 years ago) have so many distractions. They spend less time on the physical and more time on the mentally stimulating, entertainment side of life. They relate less face to face and more in cyberspace. Consequently, the need for creative, athletic training in organized, (yet ambiguity promoting), situations has never been greater or more crucially important. The great problem is that ambiguity is rarely promoted in "organized" environments. Therefore, child creative conflict resolution skills and ambiguity embracement has to now be built into the “organized" experience (How about that for yin yang!!). Families exist to love, educate, challenge, support and cherish. Businesses exist to make money. Youth soccer, premier or otherwise, should be run by family values where enjoyment, effort, creative character development, optimum challenge and support are paramount. Professional soccer is run by business values where results and winning are the most vital objectives. In between are the high school and college environments. Some high school teams have coaches who run their teams with extreme "win at all cost" business type values. Conversely some colleges have programs that are operated with a totally loving and supportive structure. As an educator and mentor I believe firmly in operating a challenging “family” style coaching culture with intense physical, mental, technical & tactical demands through college. I believe that collegiate graduation is the absolute earliest that a young person should have their individual horizons restricted by an emphasis on winning versus development. Unfortunately for many youth players we live in a "perform or perish, win at all costs, profit or perdition" company/business type culture. We are often valued for what we produce rather than because we make our best effort. If a youth coach assigns value based upon day-to-day productivity, she is helping instill a warped adult system of value judgment into a child’s personality. Throughout life, children and adults need to be shown that their existence has value whether or not they are successful in the business/profit sense of the word. Children need to be educated to try their very best in every important situation that demands 100% effort. This is a gradual "step by step" process. For children to experiment and maximize their creative potential they need a 100% effort "reward for risk" education. If children are to be freed from the bonds of "perform or perish" coaching they must taught that it is the effort and risk, not the result, that counts. The coach must hold the superstar to the same set of effort values as the rest of the players. Coaches must teach children that each player on the team is just as important as another by valuing individual uniqueness, even when aware of shortcomings. When you respect your players and focus on their positive qualities, they are freer to learn and grow in all directions. If the coach approaches player education from this perspective a greater percentage of their students will develop and achieve to a much higher level. Those who claim that the potential superstar will be held back in a family culture couldn't be more wrong. The potential superstar on most "business style" teams becomes "spoiled" because they are an excessive focus of the team. In this scenario the superstar becomes the assigned coaching and player target for most passes because she can help the team win more often. She gets more playing time, more recognition and more adulation. All of which sounds great until the long-term psychological cost is totaled up. With any type of preferential treatment that hasn’t been earned through a genuine greater effort than given by peers, there is a psychological tendency to expect even greater unjustified preferential treatment in the future. When the bubble bursts, as it eventually has to, the superstar is left with a warped entitlement expectation and a reduced capacity to give genuine effort in environments where he or she doesn't "rule the roost". The superstar syndrome is often exposed in the transition stage between youth and adult soccer. A tremendous percentage of youth superstars who were tipped for the “big-time” never make it. One of the main reasons for this is the false sense of self-concept and poor work ethic created by youth coaches and parents who give them, or expect them to receive, preferential treatment. Often misguided coaches use gifted players to achieve the win instead of using each practice or game to teach them the 100% effort, risk for reward attitude and skills needed to develop them to maximum potential. If the coach adopts a fair and unified "reward for risk" approach, each of his players will feel cherished as a person and this will help optimize personal growth, fuel expertise and build self-respect. Much more importantly each child will feel that he is important and worthwhile regardless of statistical outcomes. Performance growth and success builds the personal sense of being valuable, while caring, loyal, demanding mentors nurture the feeling of being loved and build the essential character platform for elite achievement. Every child needs to feel both loved and worthwhile. However, whether in soccer or in life, lovability and respect must be tied to effort not outcomes. This is because personal effort and the self-concept attached is 100% under each child’s control. The more a young player feels respected, the more she likes herself and the more likely she is to perform in desirable ways. Therefore, the coach should always attach love, recognition and respect to the desirable and manageable effort factor, instead of attaching undue importance to uncertain and unmanageable outcomes. The disease of winning permeates our sports to the degree that most coaches will use their players to "get a win" any age. Most players are discouraged from taking risks because to do so minimizes the team’s chances of winning the next game or tournament. Unfortunately the end result is a player who sees the game from a limited perspective and learns only the safer skills, rigid tactics, specific fitness and situational psychology demanded of that position. Alternatively the Legends coaching method is a unique teaching curriculum refined over 20 years. It is a proven approach for teaching young people to play at the highest level in soccer and life. 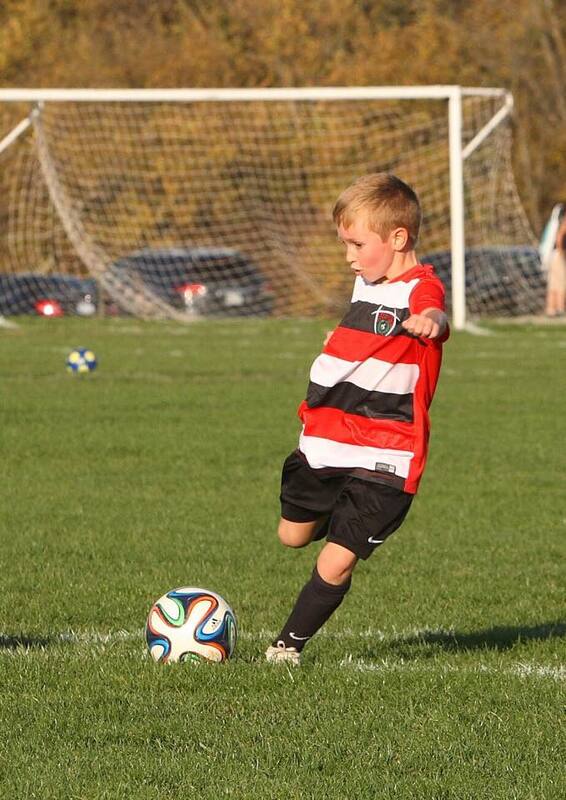 The ultimate goal is not to develop a great soccer player. It is to develop creative, brave leadership character for life! You can never dip your foot in the same river twice. This is energizing because it you'll never be stuck in a rut longer than you want to be. You can overcome obstructions, tests, and barriers to innovation just by changing something. Defeat is only a delusion. Winning the game of life is a moment by moment attitude that doesn't involve keeping score. There is an abundance of opportunity for everyone. Someone doesn't have to lose for you to win. You have immeasurable capability to stretch, grow, adjust and achieve anything you so aspire to in your life. Each moment is an improvement opportunity because it only takes a second to change a piece of your body, disposition, mind and spirit. Making the most of every moment will gradually transform you. If you make the most of every moment, over time your improvement will be sensational. Test this approach. Life’s a trial by the mile. Life’s a cinch by the inch! Think about where you were a few minutes, a day, a week in the past. You are different today? What have you accomplished, produced, learned, and improved upon in a small period of time? What are you doing to grow right now, this moment? Be open to sensation and novelty. Increase your cognition and expertise of the subjects that interest and attract you. Alter your viewpoint. Ignore the garbage. It will soon disappear if you don’t think about it. Get moving. Study, debate, ponder and communicate. Don't just "go". Instead "grow" with the flow! Fulfill your creative potential. Make your life full of positive energy and dynamism. Create a surrounding space filled with genuine vitality and radiate an aura of positive confidence everywhere life leads you. If today you're feeling a little low fake it till you make it! Pretend you're powerful and you'll soon feel the force of nature that is you. Where all things are options, where the choices available are varied, challenging and complex, creativity and growth thrives. The spirit of adventure festers and rots in predictable ruts. Exploring, pioneering and venturing into the unknown of your potential keeps life intriguing, fun, vibrant and new. Discovery adds new strength and versatility to your mind and heart and gives you more talents and tools to work with. What you have experienced strengthens you ability to make a difference in the future. Grab every opportunity to do something different and new. Squeeze all the learning you can from the moment. Life's a bear! Give it the biggest bear hug you can, every minute of every hour of every day! When you do this you'll discover opportunity in abundance. Life is like a long staircase. One step up lets you take another step up. When you welcome every new step, even the most difficult, you can climb the highest mountains of life. Your current adventure could provide the foundation for something really big in your future. It could be a vital door to another world; one of opportunity, positive energy and fulfillment. All because you made this moment as positive and productive as you could. Embrace the edge of chaos and go for it. you will adapt and grow in ways that amaze you. is there that the greatest growth occurs. creator and leader. Play the unique Legends way. There's no blame, shame or guilt; just the fun and freedom that comes with brave, creative, high risk soccer. 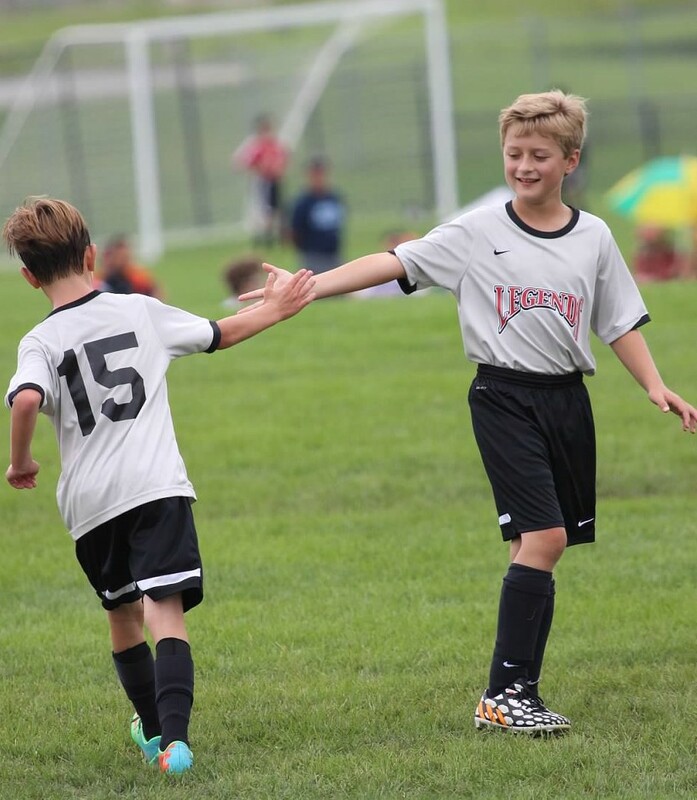 Legends soccer will broaden your perspective, deepen your character and teach you to how to live the life you want... a good life!